I’m able to feel this daily in my body, and I’ve struggled to put the sensation into words. There’s a point where you’re in a stretch when you can either keep actively stretching, or you can release the active part of the stretch and just sink into it. It’s the moment where the tension in your muscles releases and you’re able to open more deeply because you’ve ceased stretching and have allowed your body to sink into the pose, surrender into the pose. Letting go of the struggle, you’re able to open even more. Another place I’ve experienced this sensation is when getting a deep tissue or sports massage. When my massage therapist presses into a very tight muscle, my first instinct is to tense the muscle. Even when I try to release, often I’m unconsciously holding tension. But, over time, the knot or tightness in the muscle gets worked out, when your muscle truly starts to relax and release. It’s that feeling of tension that you didn’t even know was there being released. This idea of releasing into the pose is better suited for yoga poses that open areas of the body and open muscles, such as hip openers and poses that open the hamstrings. 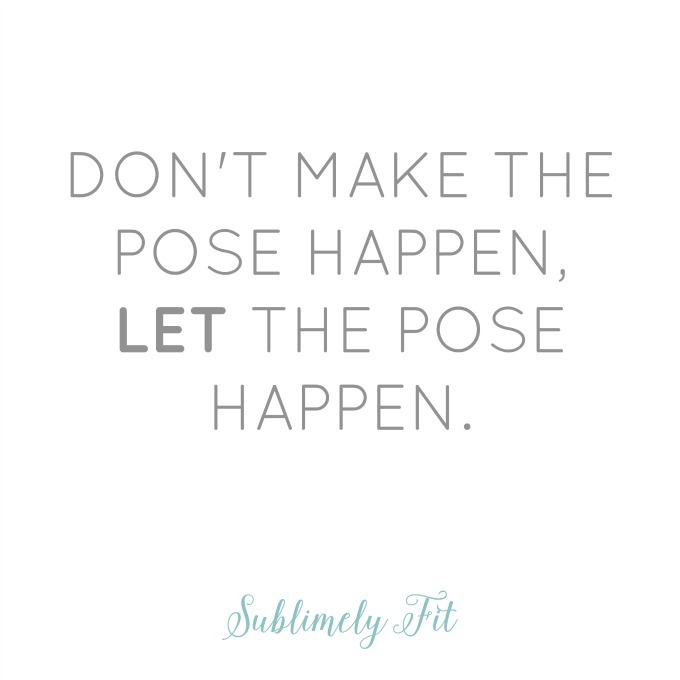 There are definitely poses where you need to be holding your muscles tight and working through your body to create the pose. But, in the poses where you’re aiming to release tension and tightness, work to release residual tension from your body and just let the pose happen. What’s your favorite yoga pose to release into?